Update – Aug 2, 2017 – We’ve heard back from Careem and they’ve confirmed that the feature is currently in beta. They’ve also confirmed that its being tested in different markets. “We’re always looking to provide the best possible Careem experience to our customers and our Captains, which requires listening to feedback and identifying areas for improvement. Our Captain rating system proved successful in helping us accomplish this goal, and we believe a passenger rating system will do the same. Right now, this feature is still in beta, but we look forward to rolling it out more formally in the coming months.” Mohammed AlModhayan, Careem’s Marketing Director for Saudi told us. Careem, the ride-hailing unicorn of MENA that turned five earlier this month is testing passenger ratings feature for its Captains in different markets, sources familiar with the matter have told us. 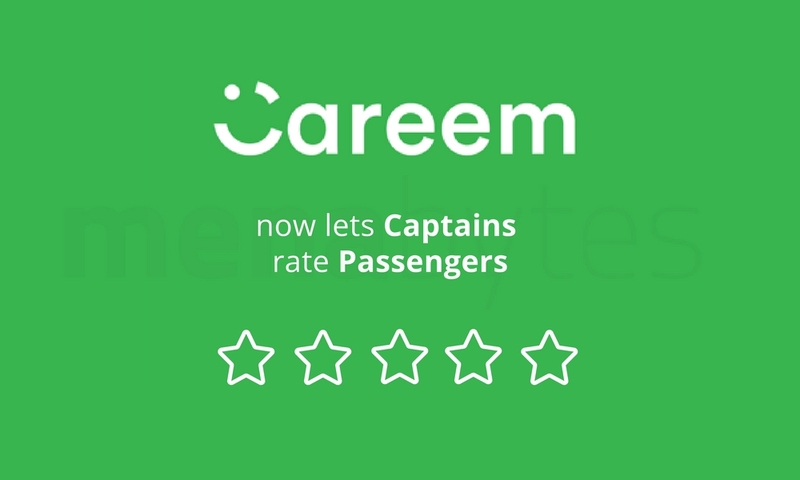 The feature is already live on the Careem applications for Captains and they’re prompted to rate the passengers at the end of every trip by giving them 1 to 5-star rating. According to our sources, its yet to be made available across the network as it has been rolling out to Captains in Saudi, UAE, Egypt, Pakistan & some other markets of Careem some of whom have now been using it for over a month now. As of now passengers cannot see their ratings but Careem plans to introduce the option in its main application which will enable users to see their ratings. Even the captains right now can’t do much with the feature as they’re only asked to rate the passengers. They cannot see a passenger’s rating before they accept them for a ride. It appears that the company for now is using it only to collect the data. Here is a screenshot from Captain’s screen when he receives a prompt to rate passenger. One of our sources claimed that it was one of the most requested feature by Captains, which kid of makes sense. There have been incidents when Captains have been given a poor rating for reasons like asking passengers not to smoke in the car, we were told. Earlier, the only option Captians had was to block the user completely. Giving them the option to rate passengers will definitely help improve the Captain experience in the long run. It shows that the company is not taking steps to improve experience on both the sides; rider and captain. Uber already has a similar rating-system in place where both rider and the drivers are prompted at the end of ride to rate each other and both the parties can see their average rating. When asked about the possible date for the feature to make it to main Careem app so passengers could see their average rating, they declined to comment. We had tried reaching out to Careem for an official comment before publishing this story but our messages went unanswered. We may not have an official word for when they will roll it out across the network or when users will be able to see their ratings. But we are certain about the fact that they are indeed recording these ratings now so next time when for any reason you feel like something nasty to your Captain, think again!